See guest artists Karen Willenbrink-Johnsen and Jasen Johnsen in live, narrated demonstrations in the Amphitheater Hot Shop on September 11 and 12 from 10 am to 12 pm and 1 to 4 pm. A testimony to her love of nature, Karen Willenbrink-Johnsen’s work is the result of countless hours of observation and decades being immersed in the in the glass-working experience. Jasen Johnsen, alongside his substantial glass sculpting skills, is also accomplished in metalworking and tool making. The couple work in their Hot Glass studio in Bow, Wash. 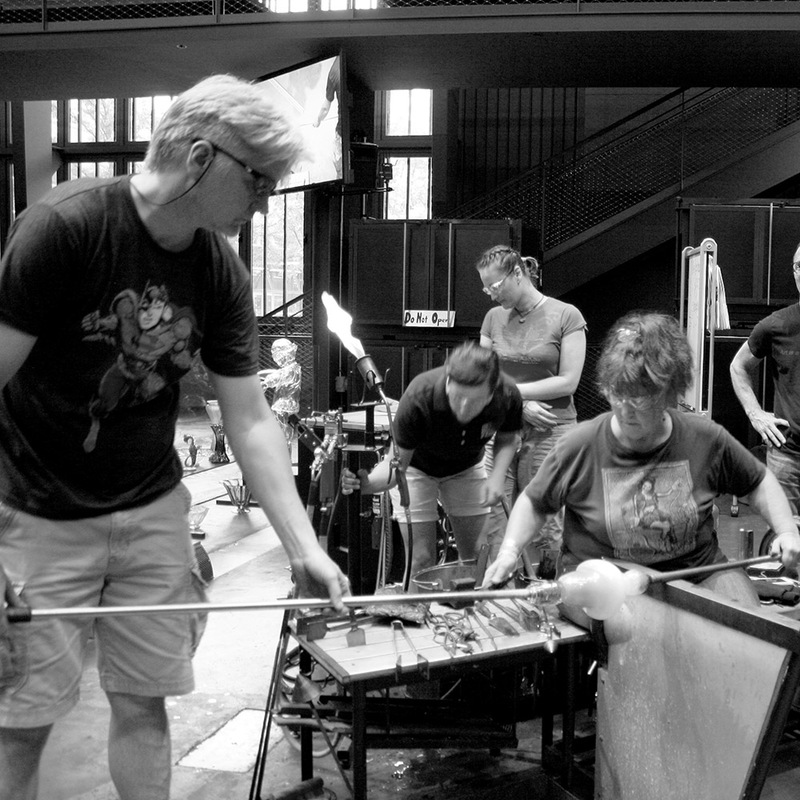 When they are not making glass, they conduct sculpting workshops worldwide. A testimony to her love of nature, Karen Willenbrink-Johnsen’s work is the result of countless hours of observation and decades being immersed in the in the glass-working experience. Jasen Johnsen, alongside his substantial glass sculpting skills, is also accomplished in metalworking and tool making. The couple work in their Hot Glass studio in Bow, Wash.